My middle child is a lemon lover. 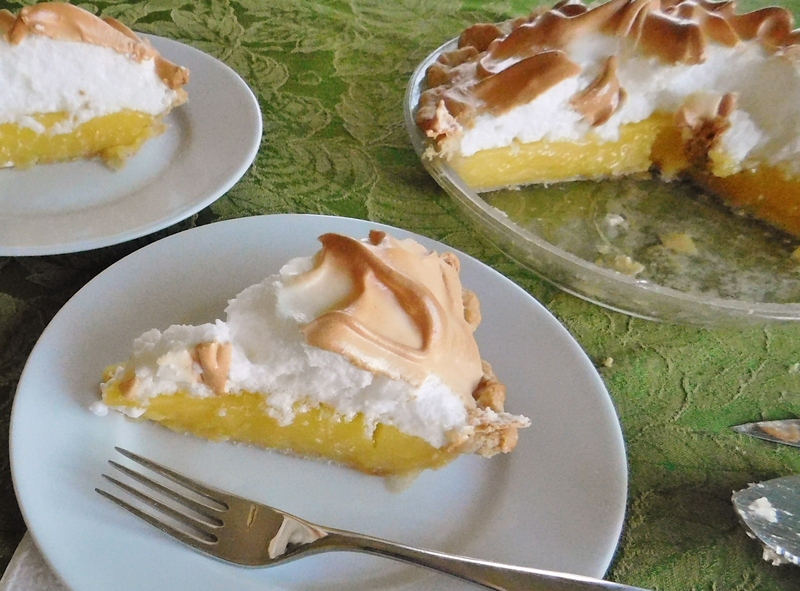 This year for her birthday, she requested a Lemon Meringue Pie instead of a birthday cake. 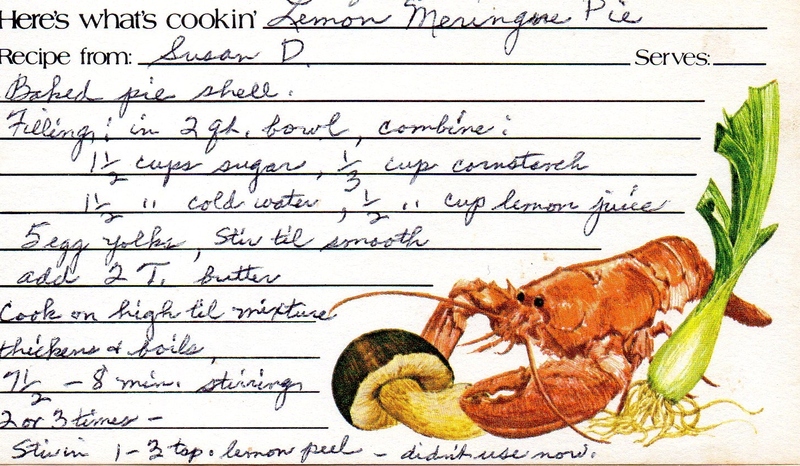 How convenient – Grandma had a Lemon Meringue Pie recipe! 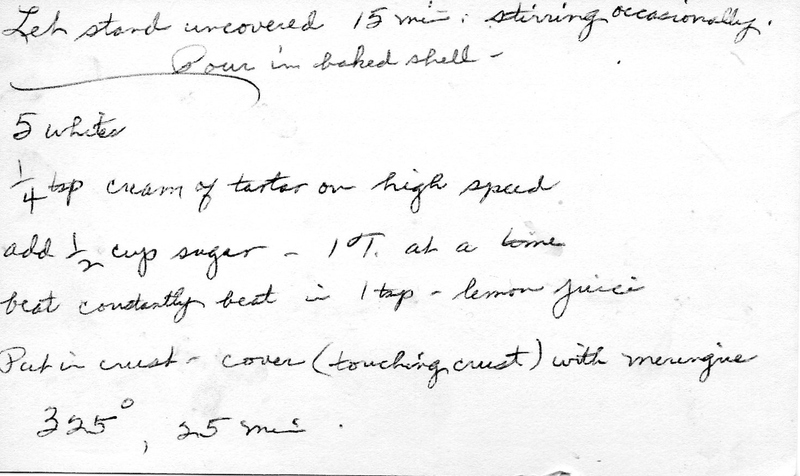 Grandma and her sisters must have really loved lemon, because between them, there are a LOT of lemon recipes. Maybe they made so many lemon recipes because chocolate was more expensive (during the Great Depression) than lemon juice, but I also don’t think these girls used real lemons – I think they used the stuff in the bottle. I have to say, some of these lemon recipes are delicious and REALLY lemony, when you use real lemons. I would never use the bottled stuff, but that’s just me. 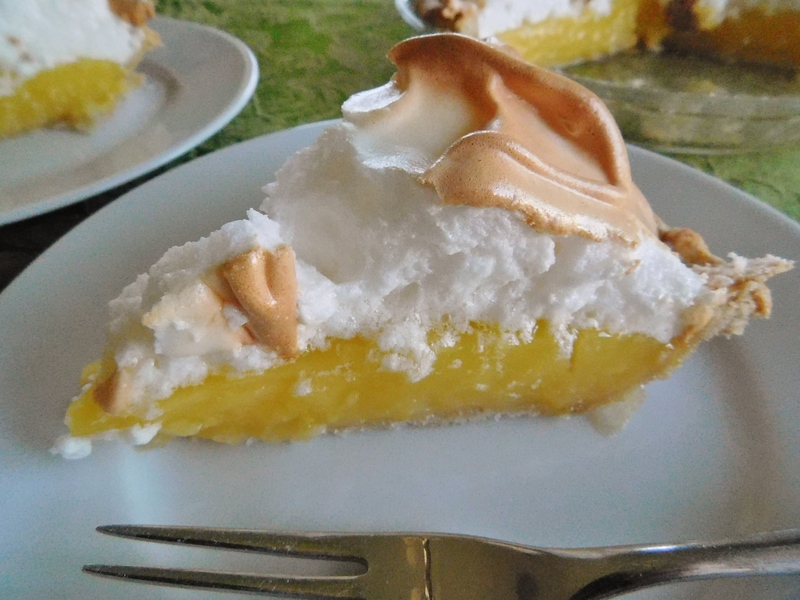 This recipe is so easy and so delicious, I’ll never use any other recipe for Lemon Meringue Pie again. This is really good pie. Prepare one baked pie shell (I used the recipe here, but made it for only one crust). Cook on high until mixture thickens and boils (7 1/2 to 8 minutes), stirring 2 or 3 times (I stirred pretty much continuously). 1-3 teaspoons lemon peel (I just used the peel of 1 lemon). 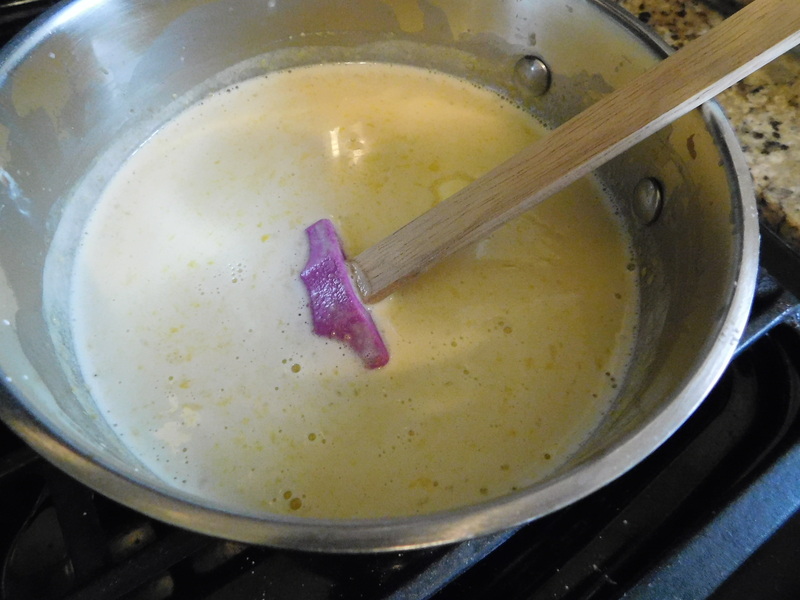 Let stand uncovered 15 minutes, stirring occasionally. 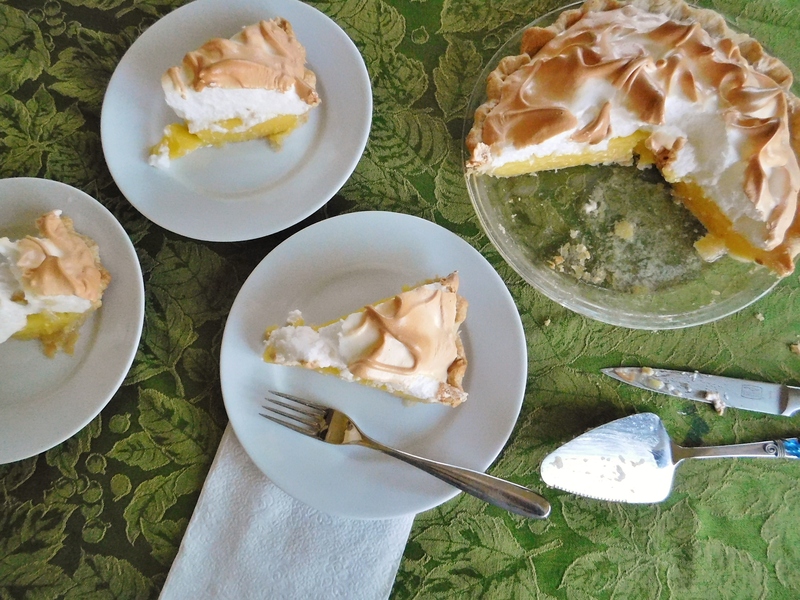 Cover filling – touching crust – with meringue. 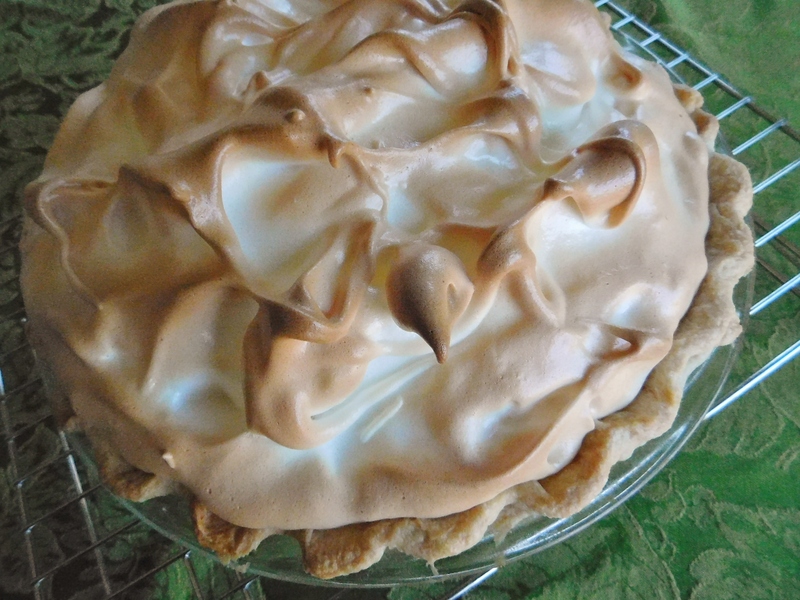 Bake at 325 degrees for 25 minutes to brown meringue. 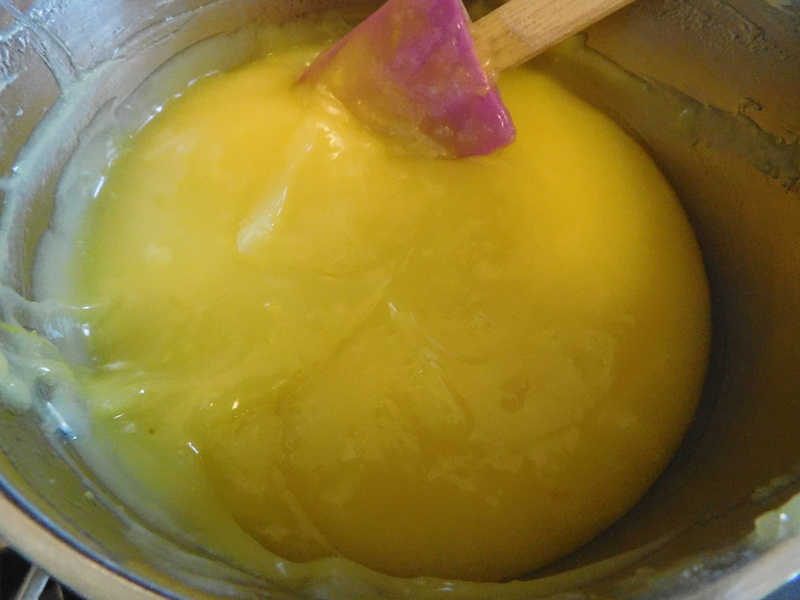 Before and after boiling the lemon filling – you can see how thick it gets. 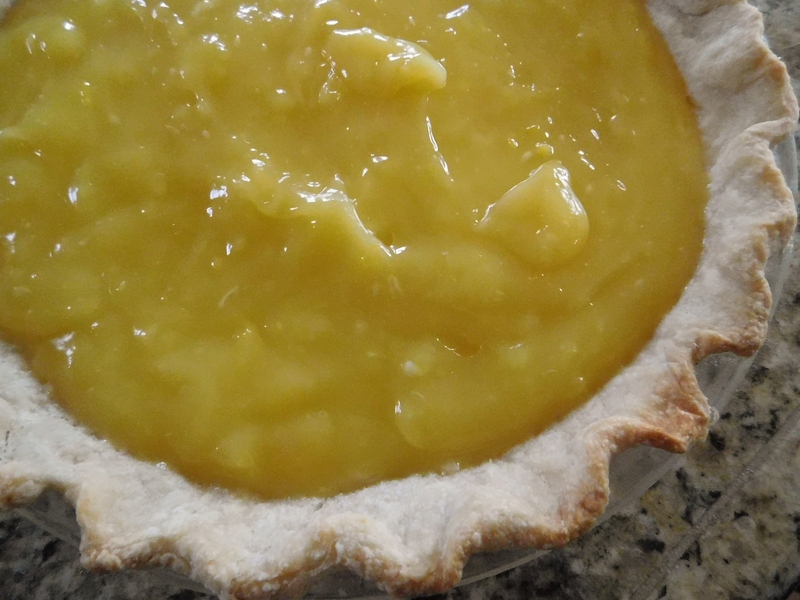 This filling would be good for anything you would use lemon curd for: tarts, scones, as a layer cake filling. The recipe makes a pretty big pie. When the filling is done, it’s too thick to strain through a sieve, so watch for bits of egg white that may need to be removed. 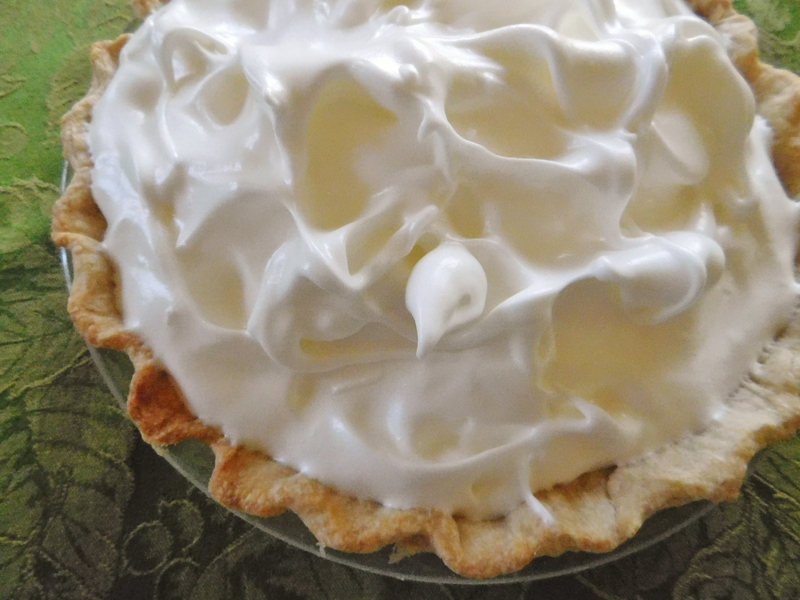 Before and after baking the meringue – so pretty! This is an easy pie to make – it’s a great recipe. The filling is nice and firm and holds up well. The meringue is soft and fluffy and sweet. The filling is tangy and tart and so delicious. This really is a great pie. It’s quick and easy and so good! It makes a great dessert for any occasion – even a very special occasion, like a birthday for a very special person! You’ll be happy with this pie – our birthday girl sure was! !